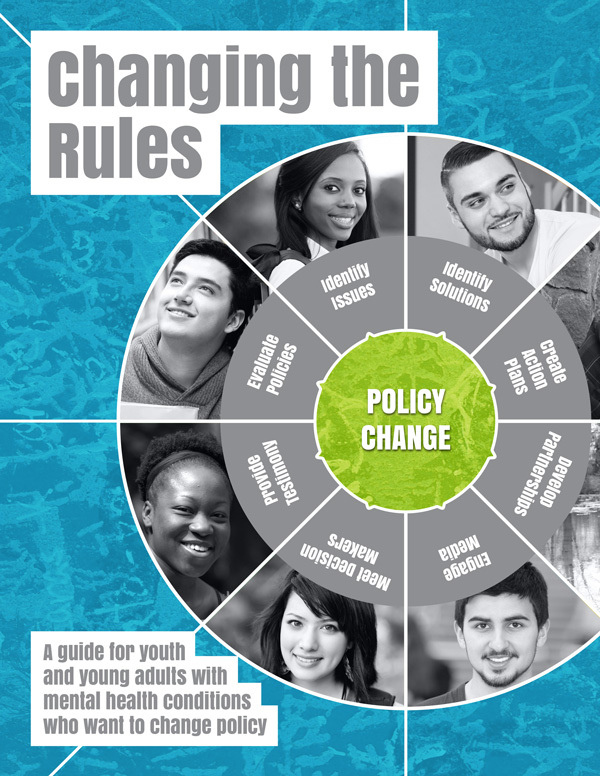 This policy guide is written for youth- and young adult-led groups and organizations that want to make changes in policies that affect them and other transition-age youth. The guide is intended for use by youth and young adults working together within a group or organization to make specific change, usually in partnership with other agencies, groups, or organizations. Young adults who have been involved in successful policy change efforts often emphasize that their groups were able to accomplish their goals because they had supportive partnerships with other organizations. This section introduces the concept of policy and explains its focus on issues of concern to youth and young adults with mental health conditions. Section 2 considers the context of making policy change in mental health and other human services, especially when the change is led by youth and young adult organizations. This background is foundational for the "how-to" sections that follow. This section introduces "Build PS," a fictitious example about a Youth M.O.V.E. chapter that is working to get more and better peer support in its state. This example will be referenced throughout the following sections of this policy guide. A policy cycle is a framework that can be used as a mental guide for planning change. This section contains a detailed description of the important tasks and activities for each step of the policy cycle. The implementation phase marks when new services or practices begin, or undesirable practices are stopped. This section explains what makes implementation successful. The conclusion combines and summarizes some of the "key ingredients" for success in policy change.